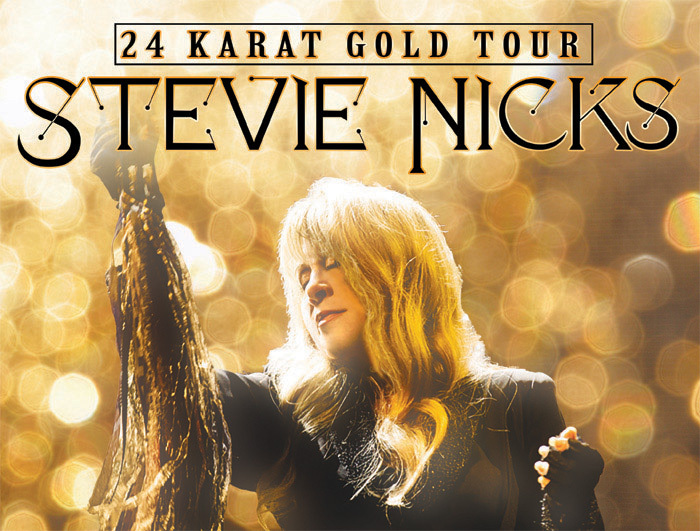 LOS ANGELES (September 6, 2016) – Singer Stevie Nicks, the multi-platinum, Grammy® Award Winning-music icon today announced The 24 Karat Gold Tour. Produced exclusively by Live Nation, the 27-city tour with Pretenders, will begin on Tuesday, October 25 in Phoenix, Arizona and will see the legendary Nicks perform throughout North America this Fall with shows scheduled in New York City, Los Angeles, Toronto, Vancouver, Chicago, Philadelphia, Atlanta and more. A full list of tour dates follows this release.